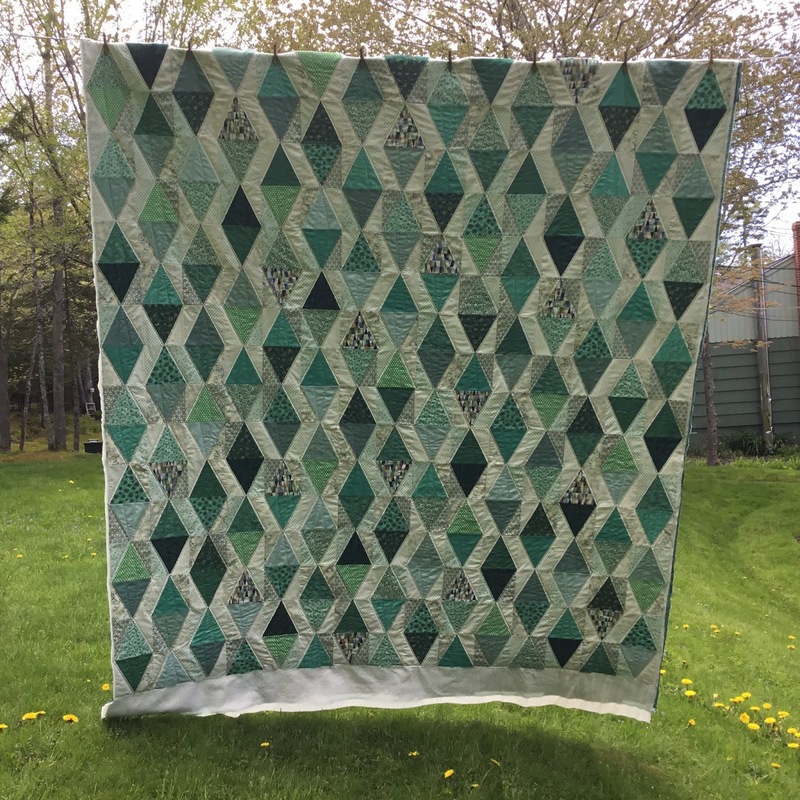 AlliKat Quilts: Triad Quilt - The Quilting is Done! Triad Quilt - The Quilting is Done! 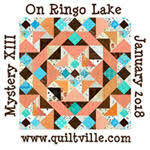 I got the quilt loaded onto my frame Saturday morning while skype sewing with my friend Marilyn. However our skype sewing session mainly turned into a skype chatting session so that was as far as it got. All of our talking was for a good reason though. We are going to be the Co-Chairs of Program for our quilt guild next year so we were bouncing all kinds of ideas off each other. It is going to be fun! And again..... I did all the quilting with a ruler foot and a ruler to get nice straight lines, for the most part anyway. And here's a picture of the first couple of rows done. We are both really liking how it's turning out. It is slow going though stopping at every point where the line changes direction and re-positioning the ruler. I only got a few columns done on Sunday. 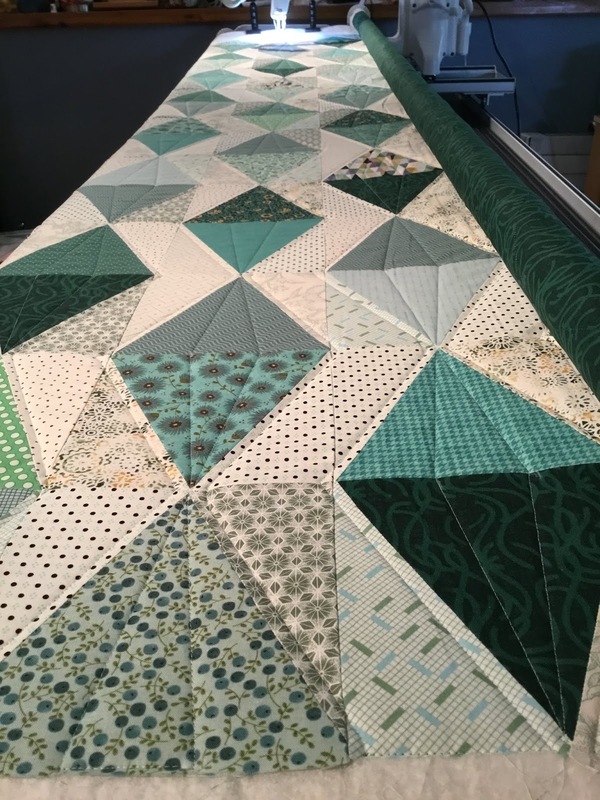 Ainsley also tried her hand at quilting on the frame for the first time and got about half a row done. 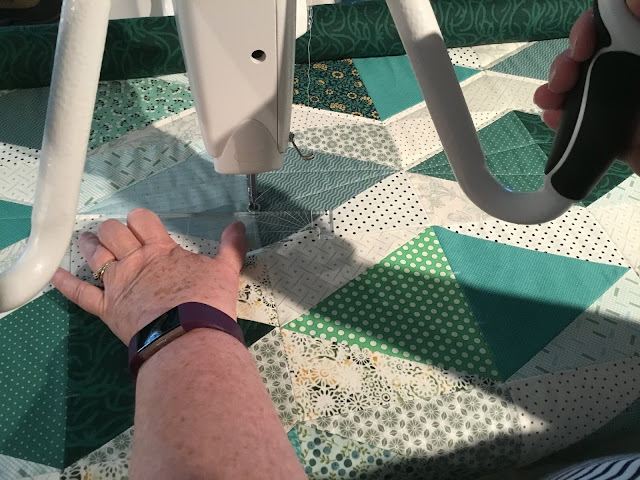 The quilt is loaded on the frame sideways so that the quilting which will run vertically on the finished quilt could be accomplished horizontally. There are no stops and starts anywhere on the quilt so no thread ends to bury. Well, except for a few places where I had to rip out when the line was really crooked, or when I ran out of bobbin thread. 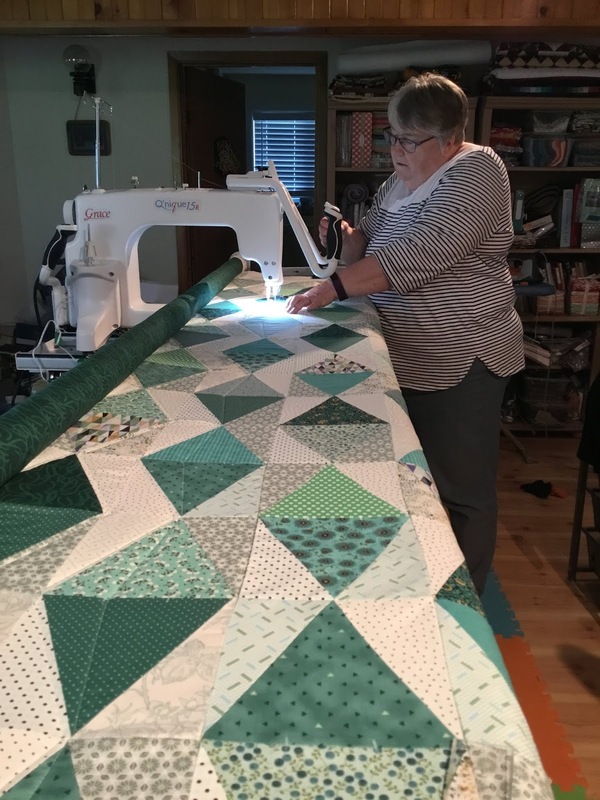 On Monday, however, I got into the groove and even with doing other things around the house, by shortly after four, I was texting both Ainsley and Marilyn that the quilting was done. Here's a picture of the quilt hanging on the line, I haven't even trimmed it yet! 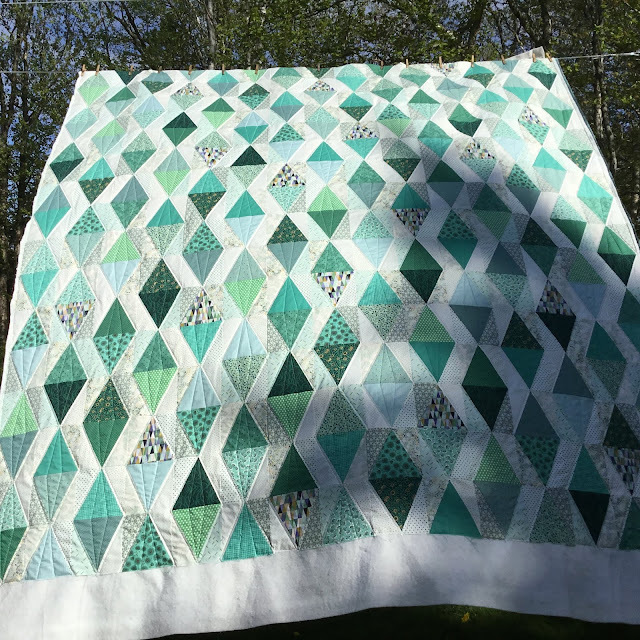 The surface of the quilt was in shadow, so I pinned it on the line facing the other way. There was a bit of a shadow from the trees, but here is an action shot of it blowing in the breeze. And one last picture. A close up when the quilt was blowing towards me. I plan to bind it today and then make a cushion cover with a few leftover blocks and it will be ready for gifting to Ainsley's girlfriend Victoria for her wedding on Saturday. 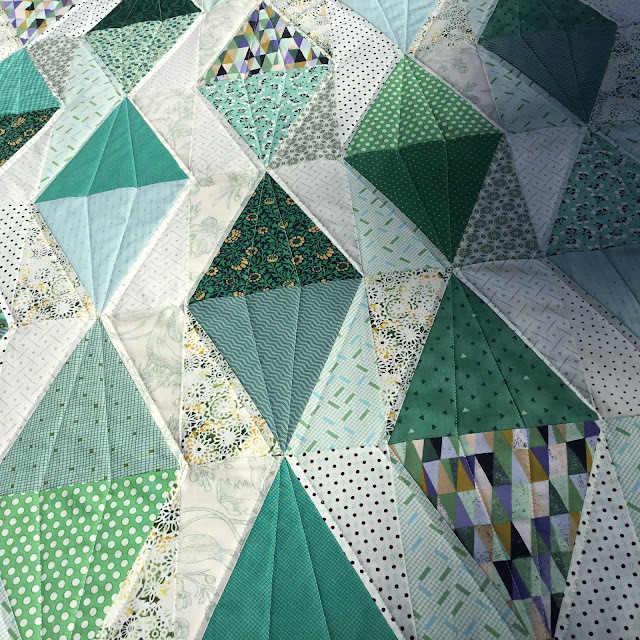 Triad Quilt Top Is Now In One Piece!